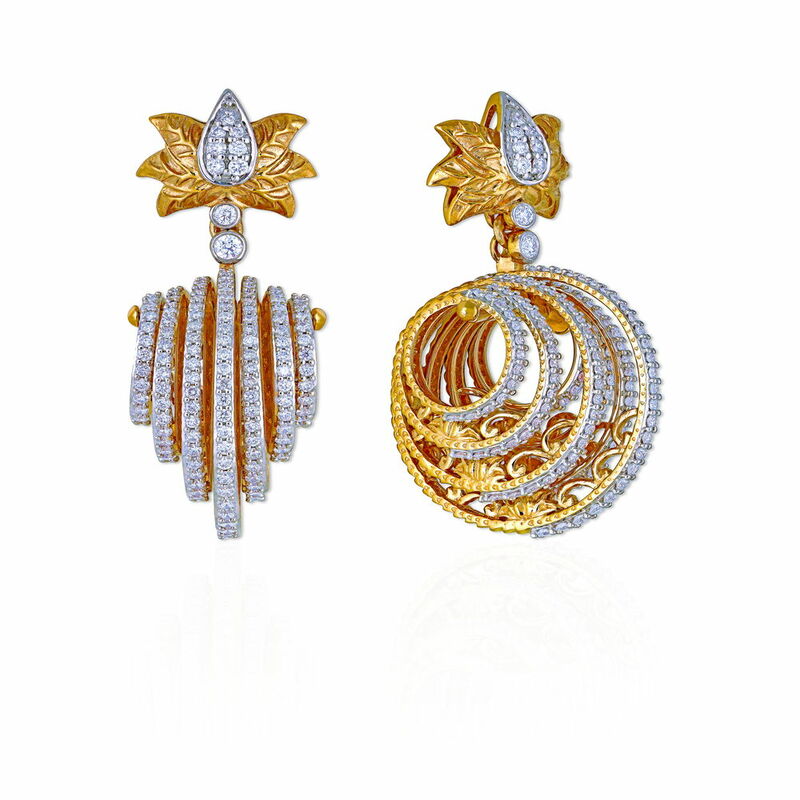 Bridal earrings in gold are all about the statement making glamour that celebrates the seven vows. Complete with engraving, gold filigree and exquisite kundan The Azva Collection of 22-Karat gold wedding earrings are a story of reinventing the timeless gold in modern luxurious creations. Skillfully handmade in gold, these bridal jewellery pieces come in a wide array of gold jhumkis, chandbalis for weddings and chandelier earrings to choose from. Styled just as well with elaborate lehengas, intricately embroidered saris or gowns for a contemporary bridal look, the modern bridal earrings in gold are sure to stand out.